In Escape the Museum it's a warm day in the city and Susan Anderson has brought her daughter Caitlin to work for the day at the National Museum of History. But what began as an exciting day for the pair ends in devastating suspense when, just after closing, a 7.6 magnitude earthquake rocks the city. After getting Caitlin to safety Susan scours the museum for anyone left behind but is knocked unconscious by falling debris. When Susan awakes she finds the museum left in shambles. 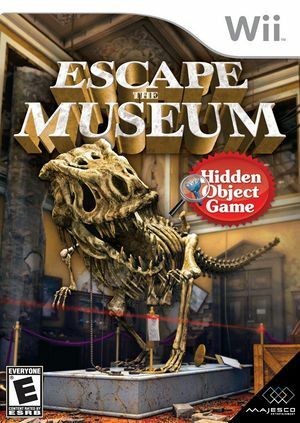 Barely able to move from room to room you must help Susan navigate and work her way through the maze of the museum in a series of puzzles and frantic searching. Can you help Susan get back to Caitlin and escape the museum together? The graph below charts the compatibility with Escape the Museum since Dolphin's 2.0 release, listing revisions only where a compatibility change occurred. This page was last edited on 10 January 2018, at 17:54.